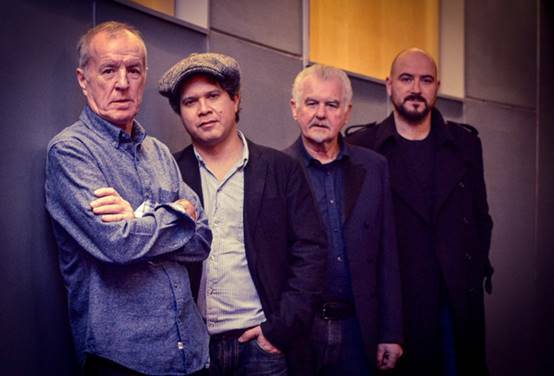 THE ANIMALS are one of the most influential and admired bands to emerge from the British Invasion. THE ANIMALS will return to Australian stages this November, bringing with them more than 50 years of iconic rhythm and blues rock. Founding member and drummer John Steel will be joined by Mick Gallagher, the bands original keyboardist, Danny Handley on guitar and vocals and Roberto Ruiz on bass and vocals, as they perform all the classic hits including We Gotta Get Out Of This Place, ranked #223 on Rolling Stones 500 Greatest Songs Of All Time list, international fan-favourite Don’t Let Me Be Misunderstood and Boom Boom, a stand out feature on the soundtrack from James Bond’s Skyfall. 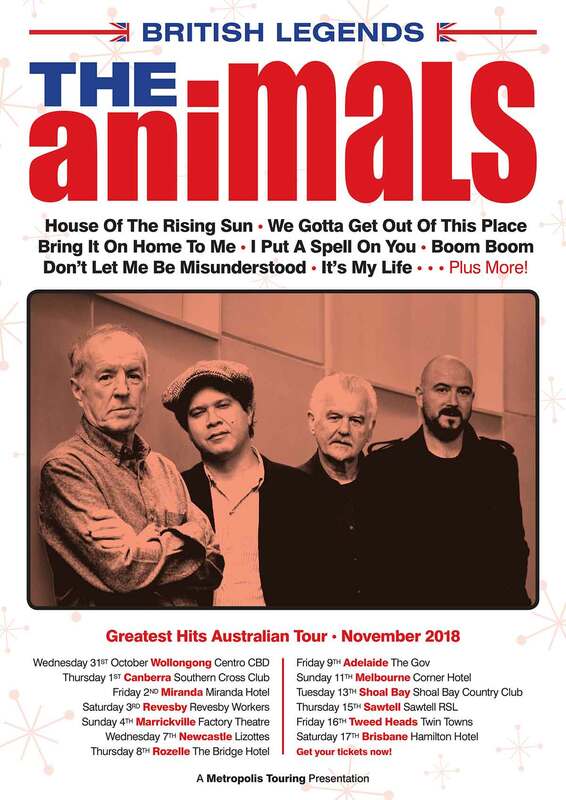 Over the course of their critically acclaimed career, The Animals celebrated 9 top 50 hits on the Australian charts, reaching #2 with their timeless classic ‘The House Of The Rising Sun’. The single, which featured on the groups Hall Of Fame-inducted debut album, topped the charts in the US, Canada and UK.